Our design shop is located on the ground floor and here you will find contemporary design in harmony with the magnificent architecture of the building. 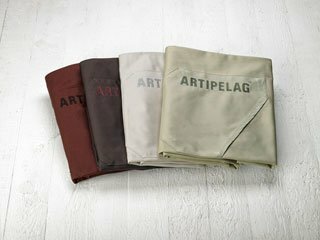 We offer a range of unique products, all of which carry the spirit of Artipelag through their beauty, durability and innovative design. If you are interested in our products, don’t hesitate to contact us on butik@artipelag.se or +46 (0)8–570 130 40. Artipelag only handle card payments. We accept credit and debit cards from Visa, Mastercard and American Express. The furniture series November is exclusively produced by Artipelag and made with inspiration from the soft November light in the Stockholm archipelago. The ergonomic and stackable chair is constructed entirely of wood. Our new black Siri vase is perfect any season, for small bouquets or a couple of twigs. Also available in matte, white glacing and light or dark green celadon. For more information about our ceramics, please contact the design shop. In connection with our exhibition Margiela, The Hermés Years, we offer a catalogue and poster in the design shop. Would you like to know more about our books and catalogues? Don’t hesitate to contact the design shop. Our popular cutting board and spice grinder are perfect utensils for the kitchen. 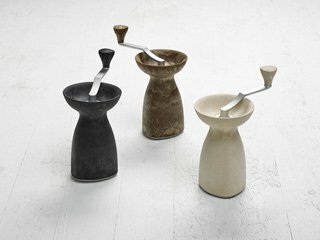 The handy mill is available in black, white or brown and the cutting board in ash, oak or walnut. Practical cookware and also decorative on the dinner table! For queries regarding our selection of products, please contact the design shop. Give a gift in the form of an Artipelag experience. 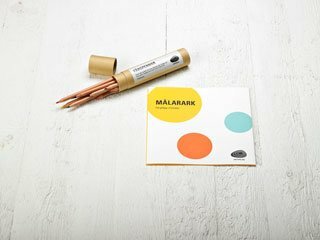 Our gift cards are available in the values of 100, 300 and 500 SEK and can be used in the design shop, in the restaurants and for paying the entrance fee to the art exhibitions. They are available for purchase in the design shop and can also be sent to you by post after receiving your order. Please contact us via e-mail and we will help you get the gift card as easily as possible! 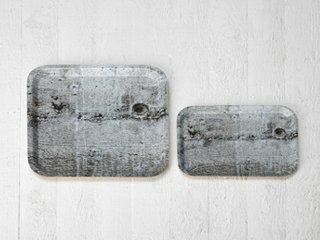 Our cutting boards for cooking are also practical as cheese board, platter or tray. Choose between ash, oak and walnut in two sizes. For more information, please contact the design shop. The grip-friendly mill has a removable handle for an easy refill of spices. Made of polypropene with 50 % wood fibre. Colour: sand, coal and bark. 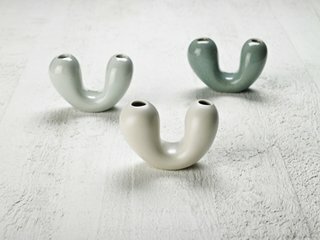 Design: Peter Ejvinsson & Emmy Larsson. For more information, please contact the design shop. 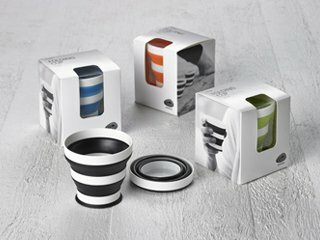 Foldable cup for hot and cold drinks, comfortable to hold and easy to put in your pocket or bag. Stable on both level and sloping surfaces. For more information, please contact the design shop. Our picnic set for two is light and easy to bring with you on various adventures such as hiking, boat trips or the winter’s ski touring. 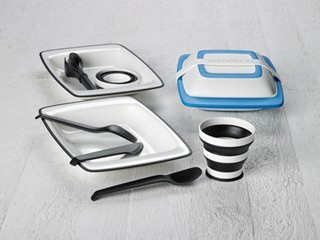 A set contains two cups, cutlery and plates, in blue (as in image) or black. 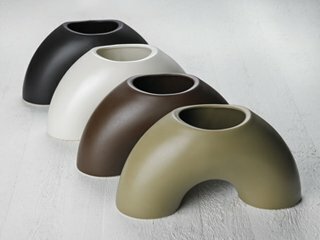 Product idea: Björn Jakobson. For more information, please contact the design shop. 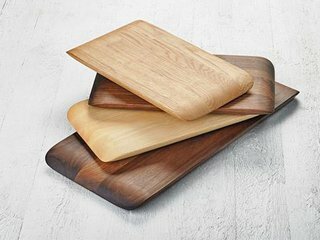 Wooden trays in six different themes can be used when serving or for the breakfast toast. Size: 32 x 32 and 20 x 27 cm. For more information, please contact the design shop. For the kitchen and barbeques, the waist aprons are available in the same fabric and colours as the tote bag. Size: 88 x 102 cm, ribbon: 100 cm. For more information, please contact the design shop. Set the table with grey linen. 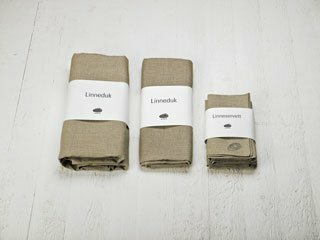 We have cloths for small and large tables with linen serviettes in the same colour. Size: 150 x 150 cm, 150 x 300 cm and serviettes 46 x 46 cm. For more information, please contact the design shop. 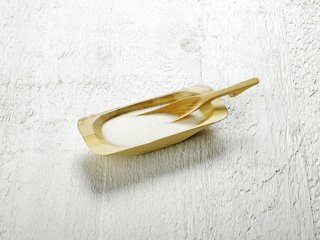 For dining and serving: a hand-carved wooden salt cellar with spoon for gourmet salt. For more information, please contact the design shop. 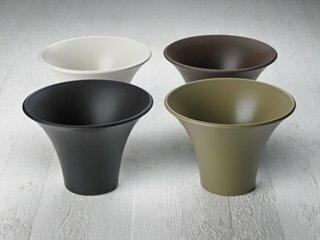 The stoneware can be placed separately or with round pots. Colour: black, white, brown and green. Size: 34 x 17 x 11 cm (length x height x width). Design: Siri Seger. For more information, please contact the design shop. Suitable to large flower arrangements with several plants as well. Colour: black, white, brown and green. Size: ∅ 24, height 17 cm. Design: Siri Seger. For more information, please contact the design shop. The vase highlights a small selection of flowers and branches and is available in light or dark green celadon and matt, white glazing. Size: 10,5 x 7,5 x 5 cm. Design: Siri Seger. For more information, please contact the design shop. Sculpture in stoneware made with inspiration from nature. Size: 14,5 x 9 x 6,5 cm. Design: Siri Seger. For more information, please contact the design shop. 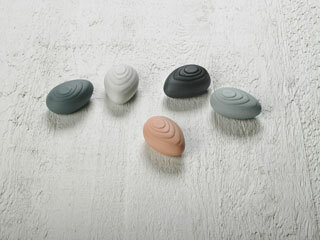 Artipelag’s smallest sculpture – a smooth ceramic stone in black, white, pink, light or dark grey. Size: 5 x 3,5 x 2,5 cm. Design: Siri Seger. For more information, please contact the design shop. “Ön”/”The Island”, a primer and memory game with a theme of archipelago. Text: Annika Runnérus, illustration: Åsa Till. For more information, please contact the design shop. Let the children colour pre-drawn and also their own patterns in Artipelag’s colouring sheet. Fold it out on the table or floor and draw with our pencils. Each case contains 12 pencils in various colours. For more information, please contact the design shop. 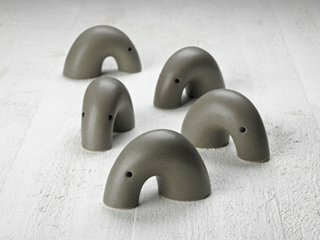 In our Design Shop you will find some of BabyBjörns most popular products, created by Björn and Lillemor Jakobson – initiators and founders of Artipelag. Their design-philosophy has always focused on security, durability and quality, which have become keywords for Artipelag Design Shop. If you have any queries about our BabyBjörn products, we are happy to help you with further information. Art.Pass is Artipelag’s preferential season pass, a one-year unlimited-access card to art!